In anticipation of an early start on Friday morning at AXPONA, I went to set the hotel’s alarm clock before turning in. That’s when I discovered that it was an iHome “Clock Radio” that required an iPod or iPhone to function. But its dock was configured for the first generation of iPods and would not work with my not-so-new iPhone5. That epitomizes what technological progress brings—along with new and better come planned (or unplanned) obsolescence. Since digital and portable audio have been my beat for quite some time, I’m well aware of the pitfalls of new technologies. But parallel with those losses comes new and exciting possibilities. 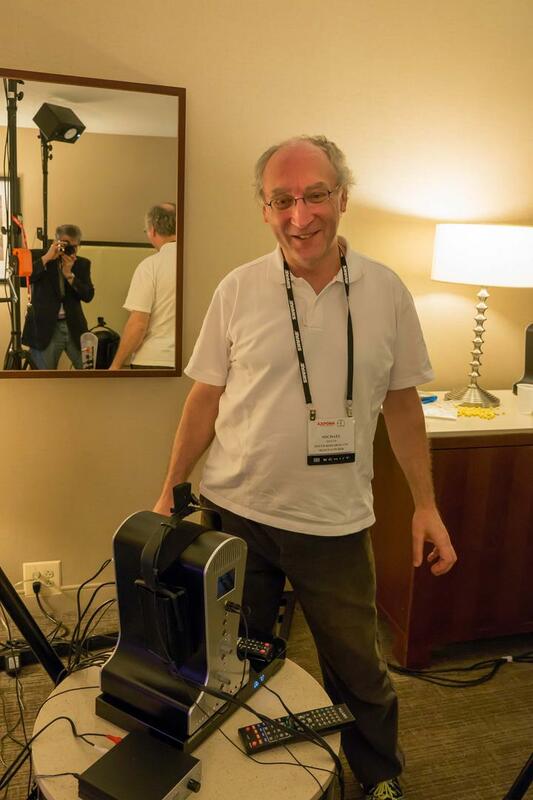 At AXPONA I had a chance to explore the brighter side of new digital and portable technology. So, without further ado, here’s what grabbed me at AXPONA 2017. 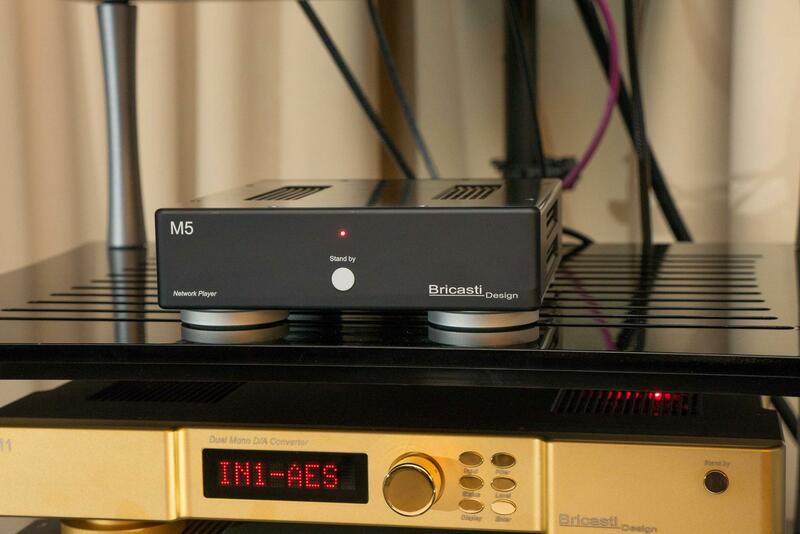 Bricasti launched its M5 network player ($2000), which serves as a network player and media renderer. It has connections for both LAN via Ethernet or Wi-Fi. Outputs include SPDIF, AES, and USB digital that support sample rates of 192/24 PCM and DSD64. In room 422 the M5 was tethered to the M1 limited edition D/A ($15,000), M12 dual-mono source controller ($15,995), M28 monoblock amplifiers driving Tidal Audio’s Piano Diacera loudspeakers ($39,990). I was impressed by the system’s dynamic ease, spatial accuracy, and low-level detail. While I did feel the loudspeakers were a bit large and overpowering for the room, given more room to breathe this system could be amazing. Playback Designs unveiled its new Dream Series MPD-8 DAC ($22,000 target price) and MPT-8 digital music transport ($14,000–$20,000 target price), which have undergone more than two years in research and development. The MPD-8 DAC utilizes Playback Design’s discrete converters, which will support every format including Quad DSD. The DAC also uses separate linear power supplies mounted on ceramic circuit boards for each analog channel. With an intentionally minimal front display, so as not to affect audio quality the MPD-8 supports USB either via a direct input or with the optional XIII interface that provides even better isolation due to its optical Plink connection. The MPT-8 transport uses a newly developed drive mechanism, and has provision for the Syrah music server to be placed into its chassis. 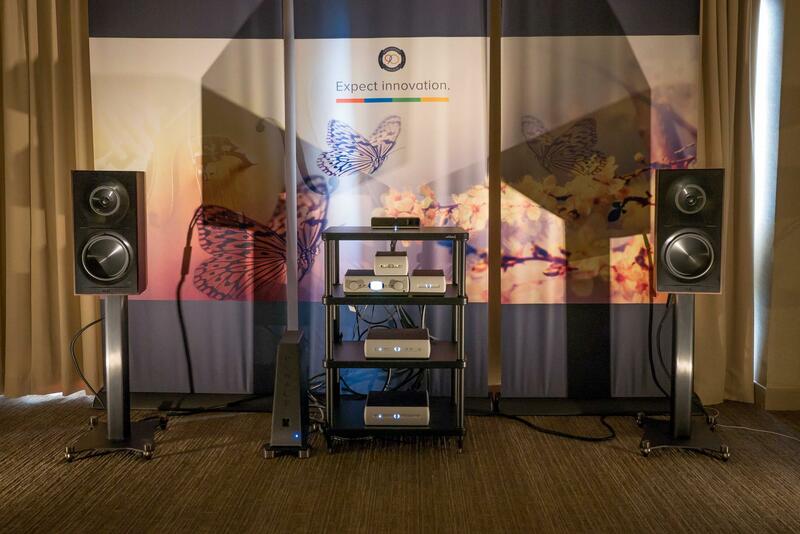 In suite 614 Esoteric presented the North American debut for two new digital devices, the Grandioso K1 SACD/CD player/DAC ($27,000) and the Grandioso G1 master clock ($22,000). Mated with the new Grandioso F1 integrated amplifier ($27,000) and Canton Reference 3K loudspeakers ($15,600/pr.) using AudioQuest cables and the AudioQuest Niagara power conditioner, the system combined a smooth midrange with tight focus and convincing depth recreation. 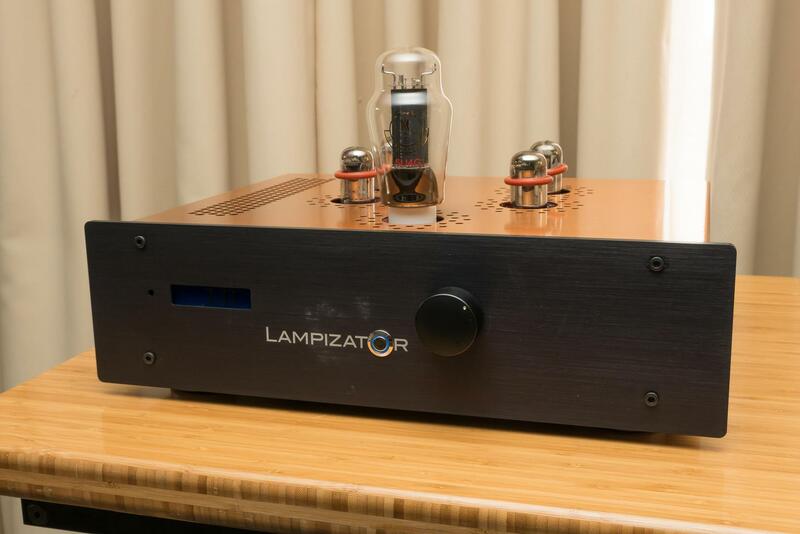 Lampizator introduced its Golden Gate DAC (9000 Euro) in room 635. With Lampizator’s Komputer Server (2900 Euro) as a front end and the Linear Tube Audio ZOTL 40 mk. II amplifier ($5800) driving the new Spatial Audio M3 Triode Master loudspeakers ($4000) connected with Verastarr cables (prices on request), the sound was delightfully musical and did not have a pernicious upper-bass thickness that plagued most of the AXPONA rooms. While it lacked the bass extension I get with my pair of Spatial M3 turbo SE loudspeakers in my own system because it lacked subwoofers (I use two JL F112 subs), the overall sonics reminded me of home. CH Precision debuted one brand-new component for AXPONA (along with a couple of North American debuts), the T1 10 MHZ time reference master clock ($24,700). 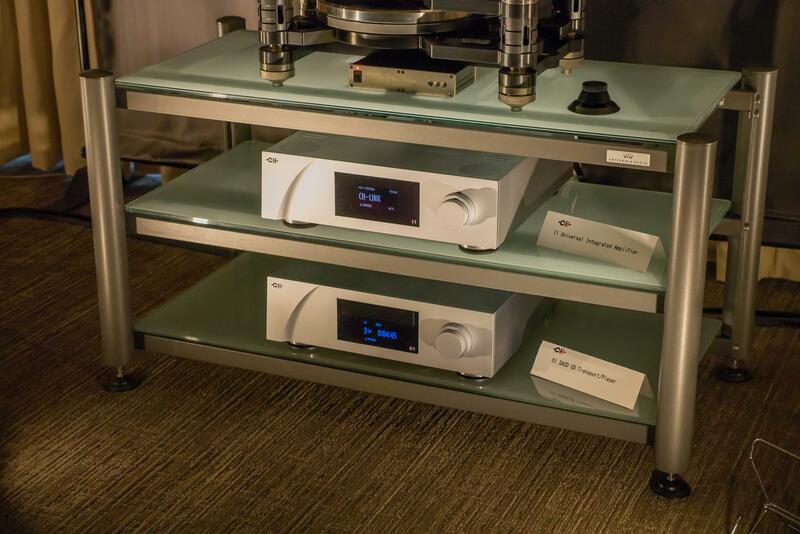 The T1 10 was connected to the C1 D/A ($32,000) powered by the CH X1 external power supply ($17,000), connected to the l1 universal integrated amplifier ($34,500), which was driving a pair of Magico S1 loudspeakers. During my time in the room the Kronos Sparta turntable was the source, and it sounded mahvalous and was among the handful of rooms without a horrendous upper-bass bloom. 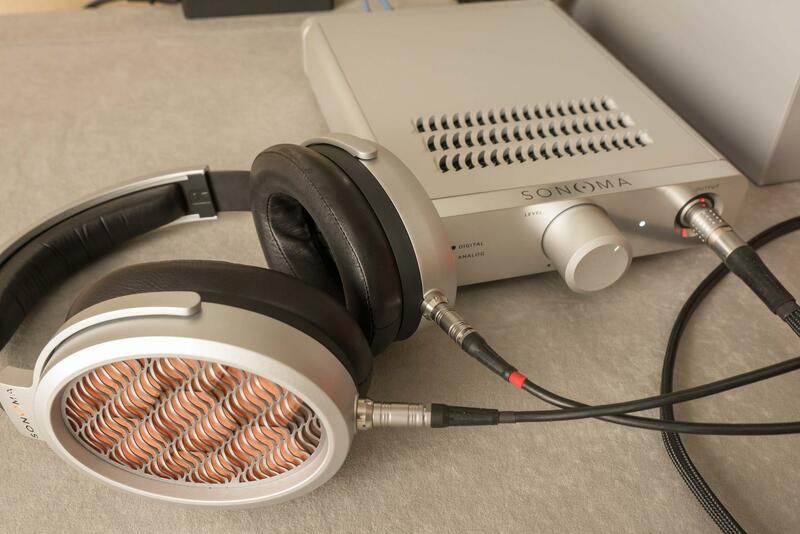 Sonoma finally has the final production versions of its electrostatic headphone system ($5000), the M1. The system includes the headphones as well as the energizing amplifier, with a built-in DAC using an ESS SABRE 32-bit Reference DAC chip. The USB input supports audio formats up to 32-bit/384 kHz PCM and DSD via DoP (DSD64 and DSD128) and the SPDIF input accepts all PCM formats to 24-bit/192kHz. The system sounded excellent (as did the prototypes), but with an improved headphone gimbal and slightly higher voltage to the stators. Pioneer and Onkyo did another Tweedledee and Tweedledum thang with the introduction of the Pioneer XDP-30 R ($399) and Onkyo DP-51 ($449) players. Given the small difference in price I suspect that the Onkyo unit, with its balanced headphone output and greater storage capacity, will throw more than a little shade on the Pioneer player. 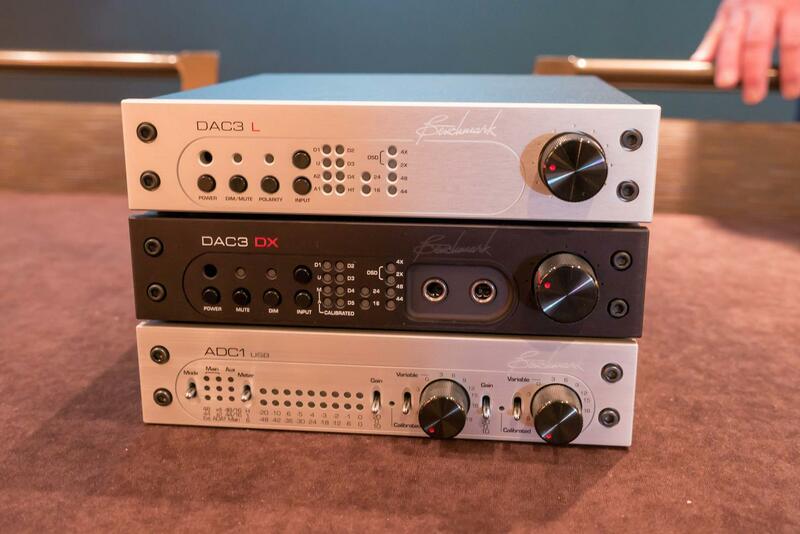 Benchmark had its three latest DACs on display in one of the well-populated hallways. The primary differences between the DAC 3 HGC ($2195), DAC 3 L ($1895), and DAC 3 DX ($2095) are the input options. The DX has no analog inputs, but includes an AES/EBU digital input that the other two units lack, while both of the other two have two analog inputs. The L, unlike the other two, lacks a headphone out. All offer the same outstanding 128dB signal-to-noise specification. Wyred 4 Sound unveiled its new statement DAC, the limited edition 10th anniversary DAC-2 v2SE ($4499) which is Wyred’s answer to the question “How can we make the DAC-2 even better?” It uses the new ESS Sabre 9038PRO DAC chip, ultra-fast Schottkey diodes, ultra-low noise discrete regulators, and a completely redesigned digital board layout. 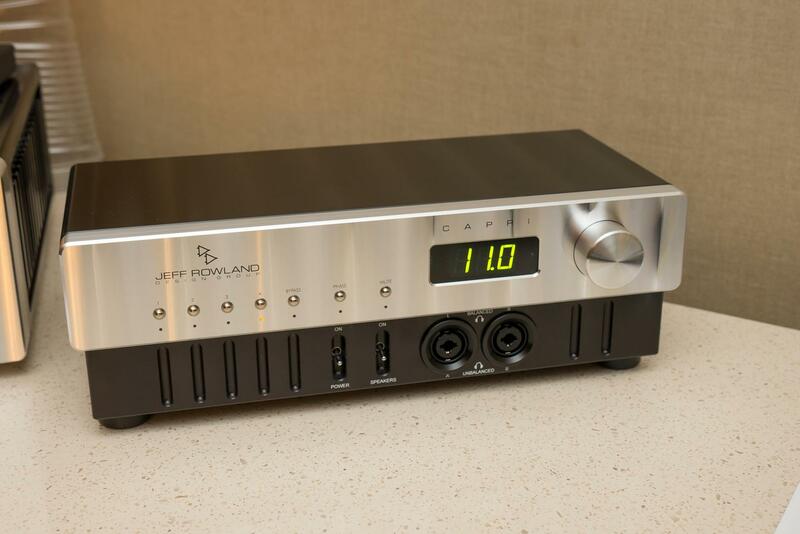 The Jeff Rowland Design Group showed the $7950 Capri integrated amplifier (pictured above), which can be used with headphones. 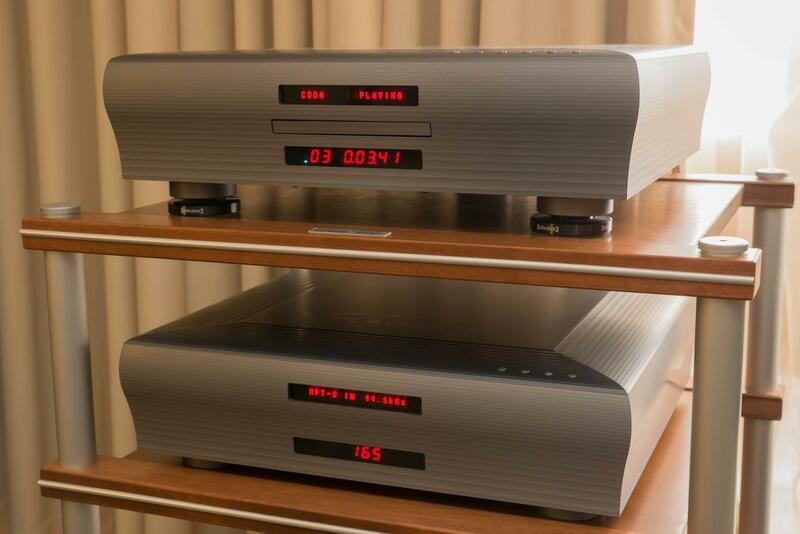 The $4000 single amp version, which was shown on passive display, is designed to mate with the Rowland Capri S2 preamplifier, and can be mounted underneath the Capri in a way so that the two components behave as one. 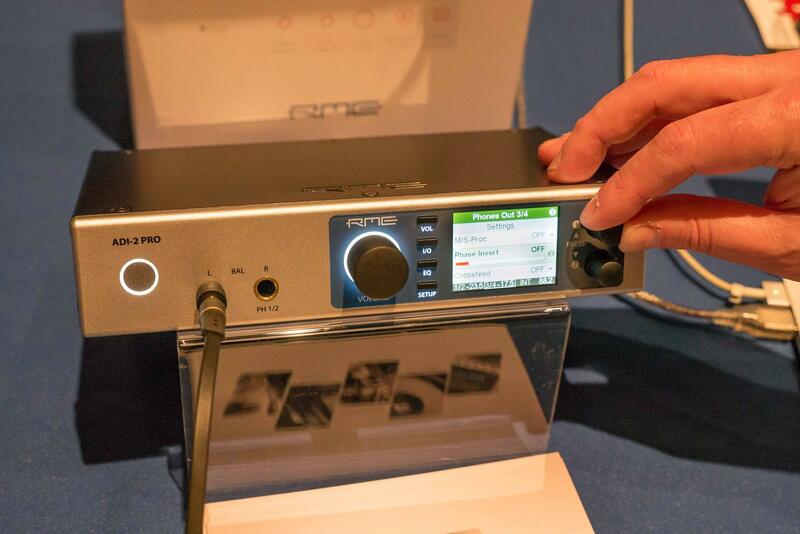 For its first showing at AXPONA RME put its best foot forward with the ADI-2Pro ultra-fidelity PCM/DSD 768kHz AD/DA converter ($2000). Featuring four inputs and eight outputs, the ADI-2 is ideal for an audiophile who wants to convert LPs to a digital format. It also includes phase inversion and even built-in M/S decoding. The latest beta version of Channel D’s Pure Vinyl 5 software for converting LPs into digital got a big upgrade with the addition of the new Seta L20 phono preamplifier (price TBD, but will be "mid-five-figures"). The Seta L20 features ultrawide bandwidth of DC to 20MHz and is available with either a built-in analog RIAA or a flat output where the RIAA can be applied in the Pure Vinyl software. The rips I heard in the Wabash room sounded spectacular. Kii Audio GmbH added to its digital Ethernet-based Kii Three loudspeaker system ($13,900) with the new Kii System Controller ($1760). The controller delivers input selection as well as six user-configurable presets. It also has a large volume knob that begs you to turn it up. Innous new Zen Mk II music server ($3499) was making gorgeous music in room 504 coupled to the Aqua La Scala Mk II Optologic D/A ($7000), LinnenberG Maestro preamp ($1200), LinnenberG Allegro monoblock power amplifiers ($5400/pr.) and Rethm Bhaava loudspeakers ($3900/pr.) tethered together with AntiCables Reference Series Level 3 cables. 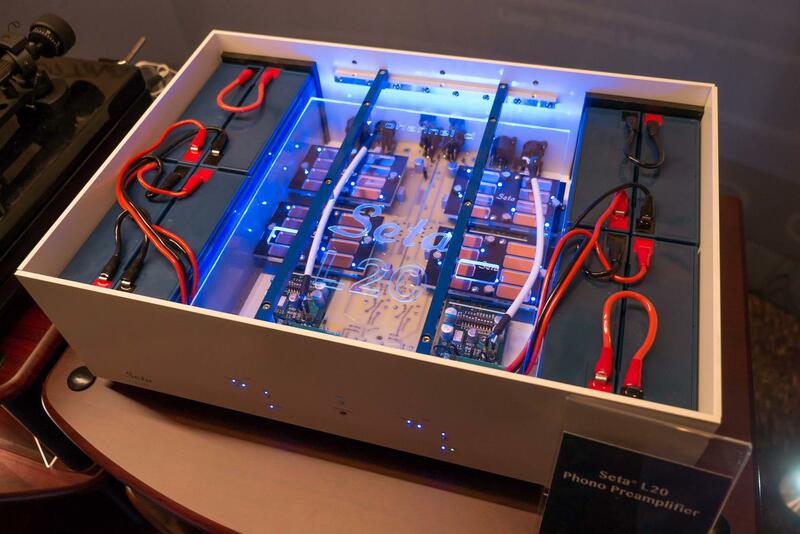 The Zen employs a linear power supply populated with ultra-low noise regulators and Nichicon MUSE capacitors, and has an anti-vibration treatment on its chassis. It includes an independent floating optical drive and an internal hard drive platform. The two gigs of dedicated internal memory allow music files to be loaded and played without having to constantly engage the internal hard drive. Emotiva displayed its new budget-friendly line of BasX components, which included the CD-100 CD Player ($299). Among its features are analog outputs that boast a frequency response flat from 20Hz–20kHz, +/-0.35dB. It also has digital outputs that are designed to deliver bit-perfect standard coax and optical SPDIF digital audio for an external DAC. Audionet highlighted its new Plank CD player ($18,800) and Ampere optional power supply ($11,200) in room 420, combined as part of a massive system that included the YG Acoustics Sonja 1.2 (72,800), Kronos Pro turntable ($38,000) with Air Tight Opus 1 cartridge ($15,000) and connected with Kubala-Sosna cabling. The system was fast, clean, and still very musical. 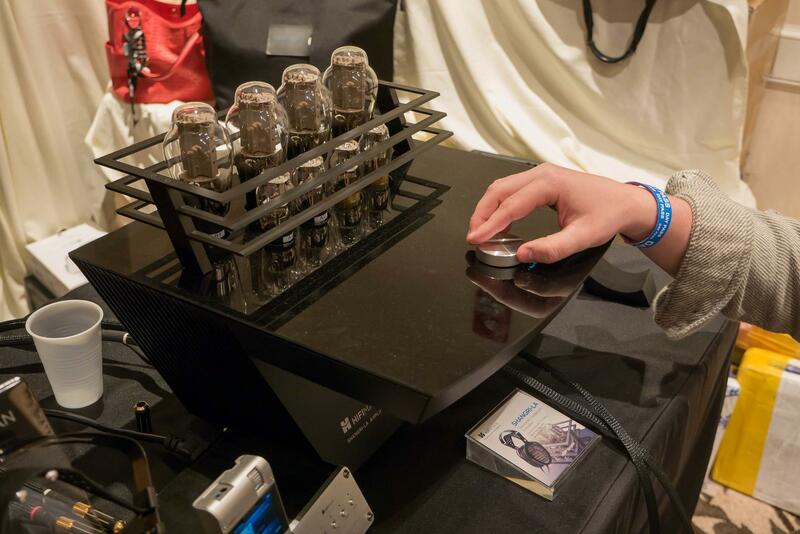 HiFiMan had a waiting line to listen to its Shangri-La electrostatic headphone system ($50,000), which offers a frequency response of 7Hz to 120kHz. The 35-pound tube-based amplifier had an effortless quality to its overall sound in addition to tight, yet dynamic bass. I would have liked to spend more time with the Shangri-La, but the looks from the folks waiting to take a turn dissuaded me from listening to the entire Mahler 1st. I had my first glance at the new Oppo UDP-205 universal player on Mark Waldrep’s AIX table. It was the only one at the show and it was part of the Yarra beamforming sound bar demo (see a detailed description below). Features include a dedicated stereo output in addition to its 7.1-channel analog audio output. The stereo audio output is powered by a dedicated ES9038PRO DAC chip and specially designed buffer and driver stages. The balanced analog output also has a true differential signal path all the way from the DAC to the 3-pin XLR connector. Like most audiophiles, I’m looking forward to hearing the UDP-205 on my own system. The two most impressive demonstrations at AXPONA were polar-opposites. One simulated headphone listening with a loudspeaker, while the other simulated loudspeaker listening via headphones. The headphones that created a remarkably believable loudspeaker perspective were from Smyth Audio. I got a 15-minute demonstration where Michael Smyth custom-calibrated the system using microphones placed in my ears. After the five-minute setup, I heard test tracks that allowed me to take the headphones on and off and compare the sound with the 7.1 system installed in the room. In terms of timbre, locational cues, and overall imaging, there was virtually no difference between the sound coming from the Stax headphones connected to the A-16 Realizer and the speaker system. This was not my first Smyth demo, as they have been working on this system for at least ten years. But every time, since the first demo at an ancient CEDIA show, I have yearned for the finished product that I could install at home. It may be finally here with the A-16 Realizer. It will be priced at $1950, but the pre-release price is currently $1690. For more information go to Smyth’s website. The second, and equally impressive demonstration at AXPONA was from Mark Waldrep of AIX. 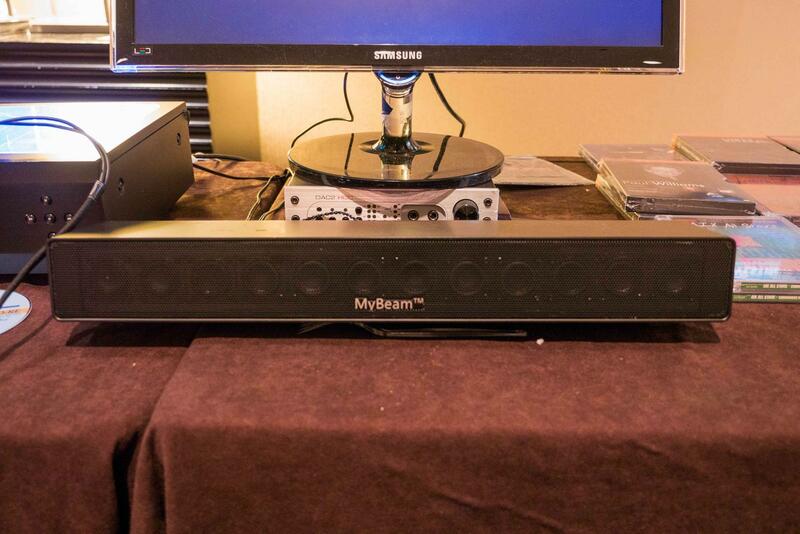 It wasn’t a new AIX title, but a diminutive sound bar from a company by the name of Yarra, which has developed a soundbar capable of creating a headphone experience from stereo, 5.1, or 7.1 sources using something they call “beamforming” technology. Still in the early stages of development, the production version will have a new enclosure, HDMI connectivity, and Dolby and DTS detection. The demo consisted of playing a track from David Chesky’s Binaural CD where he “maps” the room by taking and walking from the back of the space to whispering in your ear. The effect was exactly like listening through earphones, with no crosstalk, pumping, or any other audible artifacts reducing the binaural headphone effect. He also played a EDM music track recorded in 5.1 that through the Yarra retained its 3D soundstage. If I moved outside the soundfield area not only did the binaural effect disappear, but the sound vanished, melting into the din of the Westin’s wide hallway. The final version of the Yarra will also produce two distinct soundfields, so two listeners can enjoy the same source. For more info check out Yarra's website. Best Sound (cost no object): Mojo Audio had the best sound I heard at the show. 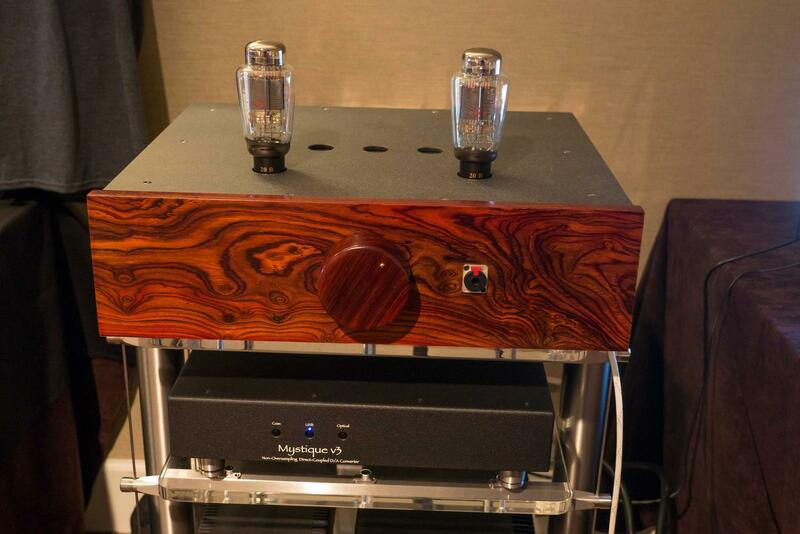 The system consisted of Mojo Audio’s Déjà Vu Music Server ($3,499.95 base price) connected to the Mystique v3 DAC ($4,999.95) connected to the Ampuurna tube-based, single-stage headphone amplifier ($16,000–$30,000) driving a pair of HiFiMan HE-1000 V2 headphones ($2999). Best Sound (on a budget): Elac Adante AS-61 stand-mount speakers ($2500/pr. ), Elac Adante speaker stands ($599/pr. ), Elac Discovery Music Server DS-S101 ($1099), Audio Alchemy DDP-1 DAC/pre-amp ($1995), two Audio Alchemy DPA-1M mono amplifiers ($1995), Audio Alchemy DMP-1 digital music player ($1795), Audio Alchemy PS-5 Premium power supply ($595), Shunyata Denali D6000T power conditioner ($4995), Shunyata power cables, AudioQuest interconnects and speaker cables, Solidsteel S2 rack ($379). 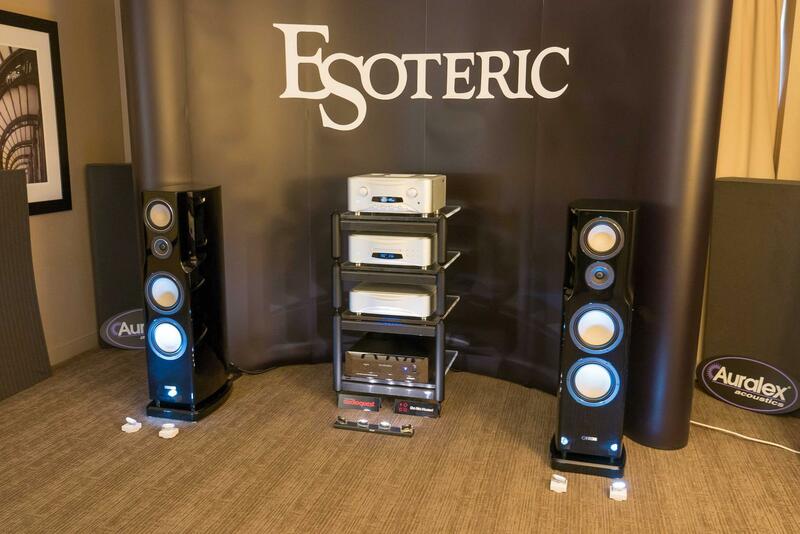 Most Significant Product Introduction: The Esoteric Grandioso K1 SACD/CD player/DAC ($27,000) with the Esoteric Grandioso G1 master clock ($22,000) and Esoteric Grandioso F1 integrated amplifier ($27,000). Most Significant Trend: More tape recorders and Tidal (often with Roon) streaming from computers in demo rooms. By next year I may be able to leave ALL my thumb-drives, memory sticks, and single CD at home.